Today we give thanks…for, among other things, Hiroyuki Sawano. Author rabujoistaffPosted on Thu, 23 Nov 2017 Wed, 22 Nov 2017 Categories Random, VideoTags hiroyuki sawano, thanksgiving1 Comment on Happy Thanksgiving! We are thankful for anime, and for you, our readers! Just make sure to fully cook all poultry, and if you get too stressed out about the cooking, have some chamomile tea. Author rabujoistaffPosted on Thu, 27 Nov 2014 Categories ThanksTags gf beta, thankful, thanksgiving, turkey1 Comment on Happy Thanksgiving! How fitting that on the eve of a holiday centered around stuffing yourself, we get perhaps the most overstuffed episode of Chaika ever. Seriously, there was a lot going on, and while the episode made an admirable attempt to keep everything interesting, it couldn’t keep some parts from feeling like padding. Compared to, say, Akame ga Kill!, which has been progressively killing off characters so it can focus on fewer and fewer, Chaika has kept everyone alive with just two episodes left, and so has to find a place for them, just as one has to find a place for every thanksgiving dish on the table. Its one major death – Gillette’s – was a fake-out causing more of a “huh” than a “wow”. Not to mention it chooses this time to finally reveal who the “Head Chaika” is, as Zita, Leo, and Matthaus interview one of Hartgen’s retainers. It seems like Gaz had reason to smile after Hartgen killed him, because henceforth Hartgen started acting just like Gaz, as if he was a man possessed. Hartgen isn’t exactly Gaz re-incarnate, as he needs Head Chaika to show up (the evil Chaika’s are always the most scantily clad) and give him the idea for the martial arts tournament. Killing Gaz did something to Hartgen to change him into a pliable, warmongering pawn for Head Chaika to manipulate. Hartgen wants to be Gaz II, and so uses the tournament as (flimsy) cover to raise an army, hoping the Six Nations will react too slowly. Two ministers do deploy the Flying Fortress Cima to Hartgen; it’s sure to play a role in the near future. 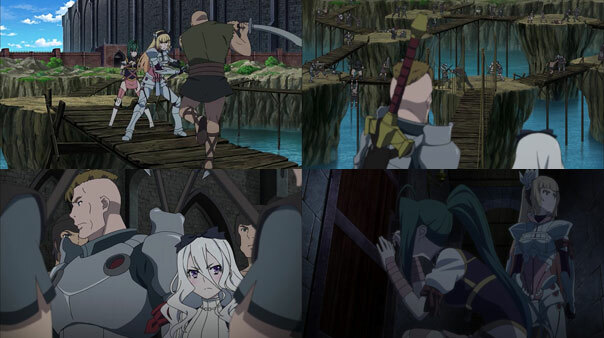 In the mean time, Akari and Fredrica find a room with dozens if not hundreds of coffins just like Chaika’s…and then they’re ambushed by Chaika Puppet Ninjas. Yes, that is a thing that was in this episode, because everything in creation was in this episode. 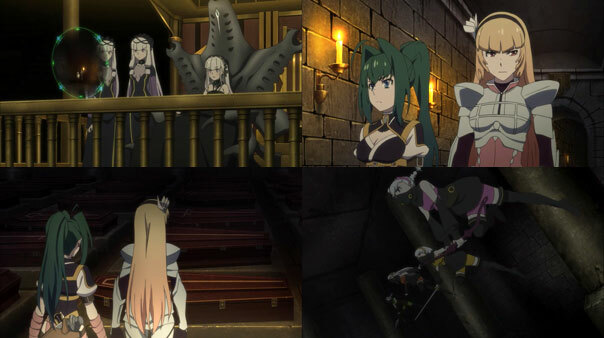 Meanwhile, the guards arrest the various pairs one by one and send them into a subterranean arena, where Black Chaika and her twin sisters sit and watch their own mini-tournament, betting on who will come out the victor. First, Vivi and Nikolai are forced to fight Dark Gillette, something that’s initially very hard for Vivi to do because she loves the guy and has no idea what’s going on. But in the end, when Gillette prepares to kill Nikolai, she takes GIllette’s sword hand off with Niko’s greatsword, in a pretty badass display. The shock of his injury apparently brings Gillette’s memories back, and it seems he’ll keep living, though why is anyone’s guess. Next, Akari and War Maiden Mode- Fredrica are stopped by Shin, then Fred’s locked in a magical barrier and riddled with arrows, continuing the tradition of neutralizing the overpowered ally in crunch time (though serves them right for not looking up). 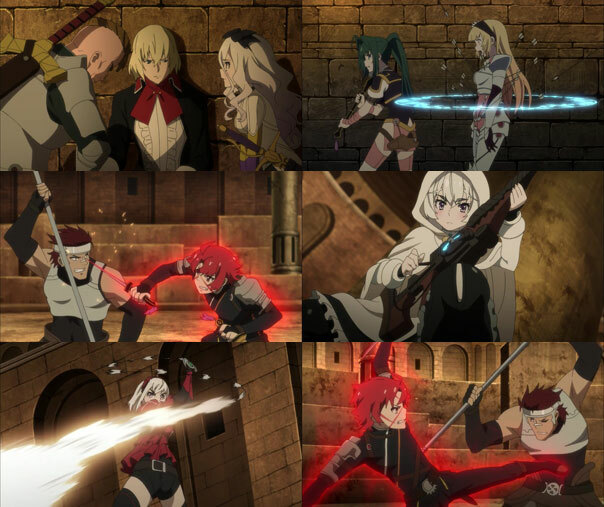 White Chaika and Tooru are up next, forced to fight Red Chaika and David (and winning pretty dang easily, when all’s said and done. 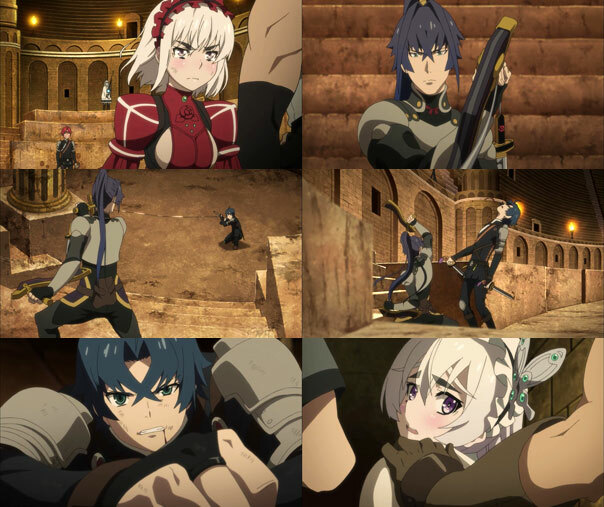 When David is wounded, Chaika forfeits the fight and runs off in tears, rather than let her comrade come to further harm. Of course, they’re only Tooru’s appetizer; the entree is Shin, who shows up with the captured Akari and Fredrica. 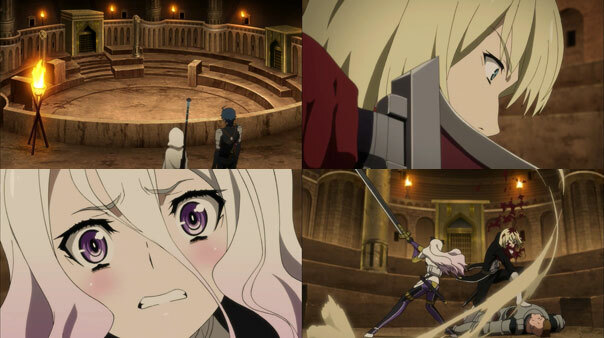 White Chaika is jumped by guards, forcing Tooru to fight Shin alone, and he gets schooled by his mentor. 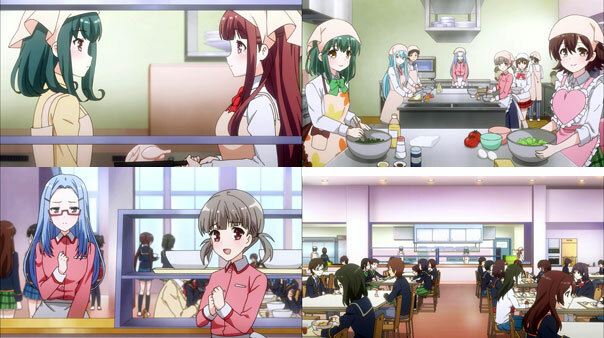 With that, the episode kinda fizzles out, without showing us what’s for dessert. There were a couple cool moments, and I liked the arena format for the gauntlet of boss battles, but at the end of the day this episode had way too much squeezed into it, and strained and groaned under the weight of it all. Eat, drink, and be merry. Happy Nagoya Cochin Chicken Turkey Day, a time to be grateful for family, friends, and anime. Eat, drink, tolerate your relations, watch American Football, and be merry. Itadakimasu! No RABUJOI reviews today or Thanksgiving. Normal service will resume Friday. Enjoy the parade, dog show, eating food, football game, or, you know…families.